Katrina Blannin is influenced by the Systems Group and Constructivism. 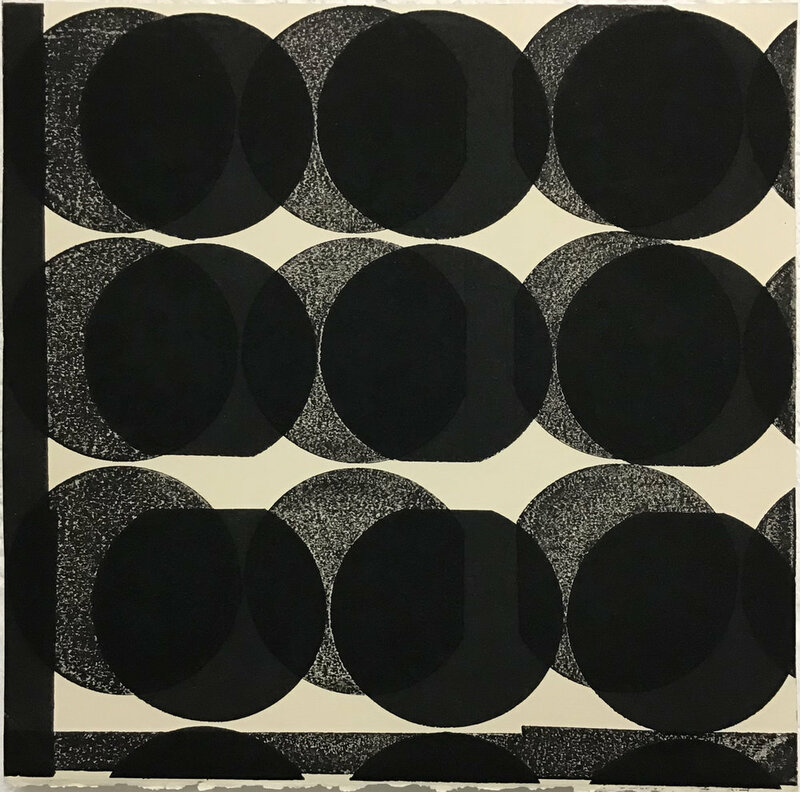 Following certain self-created rules, she explores tonality and colour-play through variations (rotations, compressions, expansions) and repetitions of the same motif or “pattern”. Meticulously executed, her incisive works are harmonic in composition but excitingly dynamic. Blannin is based in London. She graduated from the Royal College of Art in 1997 and has since then shown her work extensively in the UK and abroad; co-directed artist run project spaces; curated exhibitions and written about contemporary painting. She is currently a Painting by Practice PhD candidate at the University of Worcester and on the editorial board for Turps Banana Magazine.